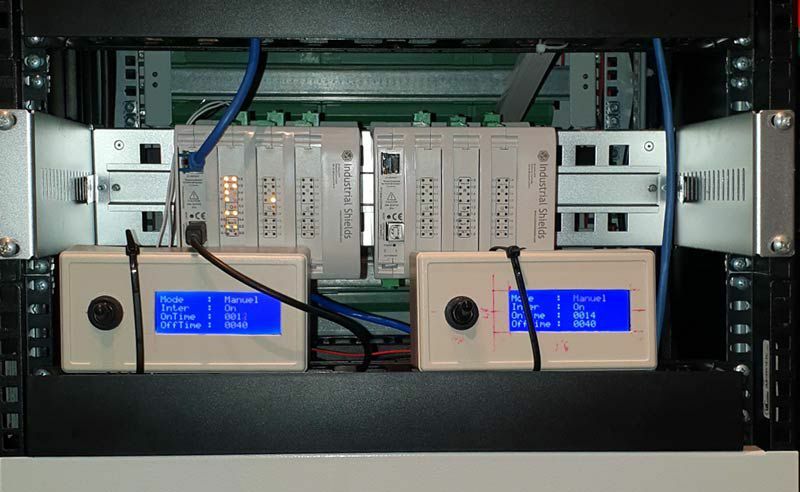 M-DUINO PLC and Panel PC based on open source. Our costumer was looking for an Open Source solution in order to implement all the technical specifications he wants with unlimited options, which can not be done with a turnkey solution. They decided to use the Industrial Shields equipments among other reasons for the saving in expenses, the ease of wiring with screwless connector or easy to program in several languages such as Arduino IDE. This project allows to control remotely the humidity, the ventilation, the CO2 level and the luminosity in a greenhouse. It is configured with a graphical interface programmed in a Industrial Shields Panel PC with a RaspberryPi built-in. While the control of humidity, CO2 and air is automatic, for Lights are controlled according to the time, although they can be set manually. The greenhouse that our customer wanted to automaize required a remote control on the humidity levels, CO2, temperature and lighting of the different spaces that make up the greenhouse and a system that would alert him in case of finding any of the variables out of range. To achieve this goal, they chose to use different communication protocols such as I2C and Ethernet, among others, and also programming tools such as Arduino IDE or Node-RED. In order to control the entire installation, the customer has required two Ethernet PLCs. 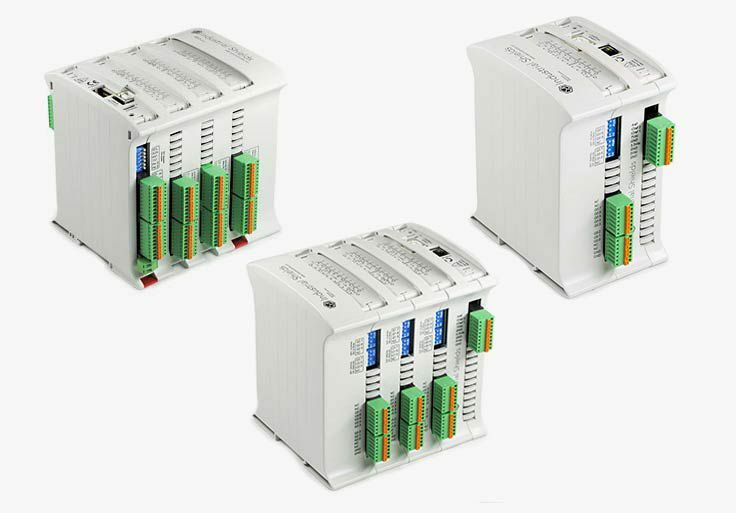 On the one hand, the PLCs received the data from the HVAC sensors, at the first choice, connected by an I2C bus; I2C multiplexers have also been added to cover the entire installation, at second and third choice, the installation also combines digital and analog sensors. The customer has implemented a control system for each of the phases (humidity, temperature, level of CO2 and luminosity) where looking at the level of each variable from the sensors decided on the actuators (pumps, valves, ventilation, light) in a sketch made with Arduino IDE. To have control over the situation in the greenhouse, they added a Panel PC from Industrial Shields to the system. The data of the two Ethernet PLCs are sent via Ethernet to the Panel PC. In the Panel PC, an MQTT broker has been configured to handle the requests and the Node-RED programming tool has been used to create the framework and manage the communications between the Ethernet PLCs and the Panel PC. The customer started this project as a test with the aim of create a defined hardware and software to scale up in other installations of his property.